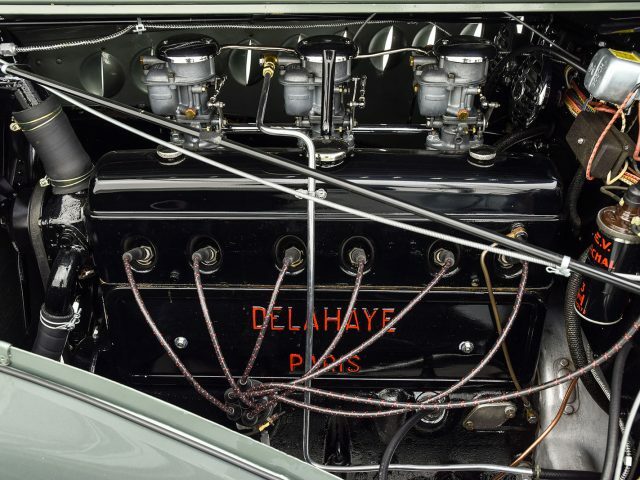 The great Émile Delahaye, and his successor Amédée Varlet, are two of France’s greatest pioneers in the motoring industry. 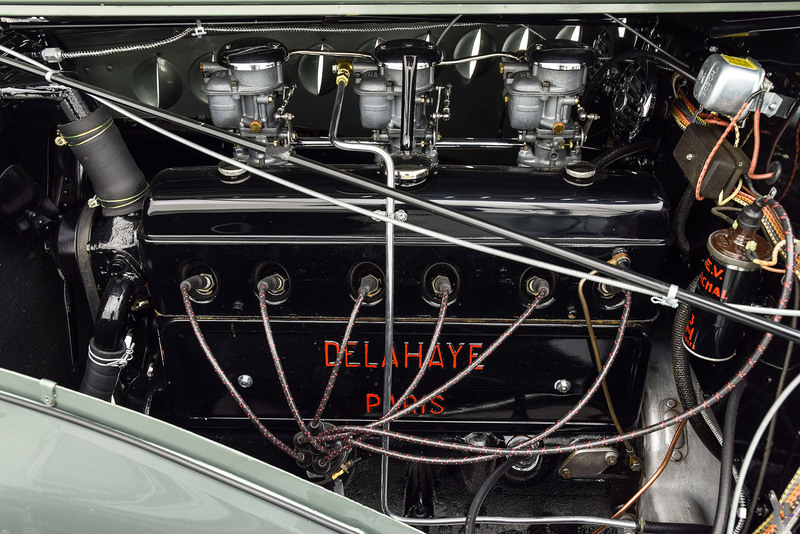 Their talent and innovative approach to engineering earned Societe Des Automobiles Delahaye its place as one of France’s grandes routieres, building magnificent road cars that attracting attention from France’s style-conscious elite, while backing up their reputation with successful endurance racing sports cars and grand prix machines. 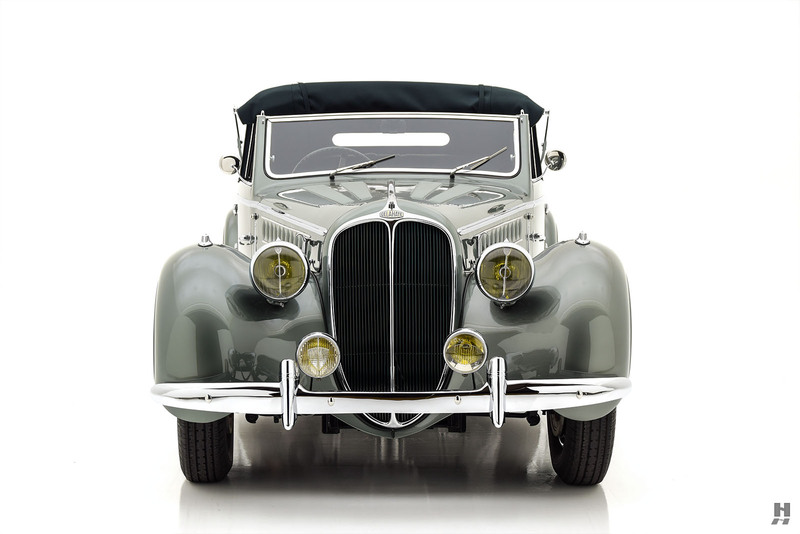 Production of their most recognized and successful model, the 135, began in 1935 as a 3.2 liter sports car of either 90 or 110 horsepower. 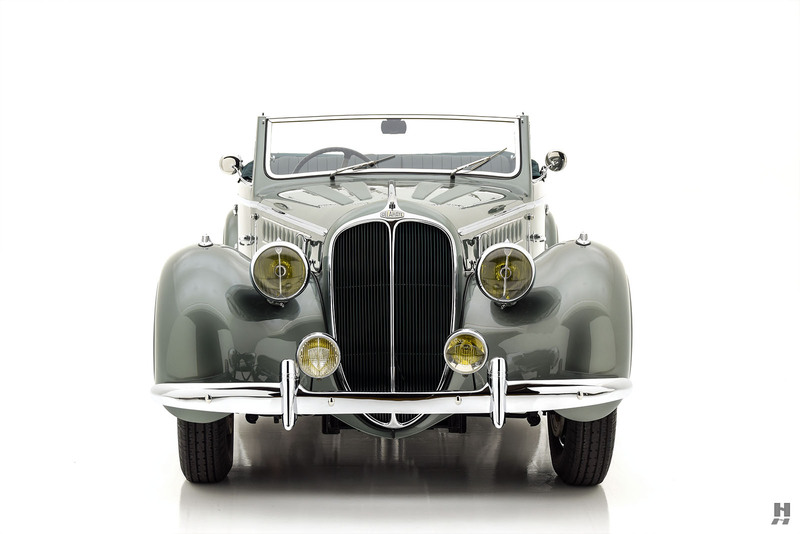 For the 1936 model year, a larger 3,558 c.c. 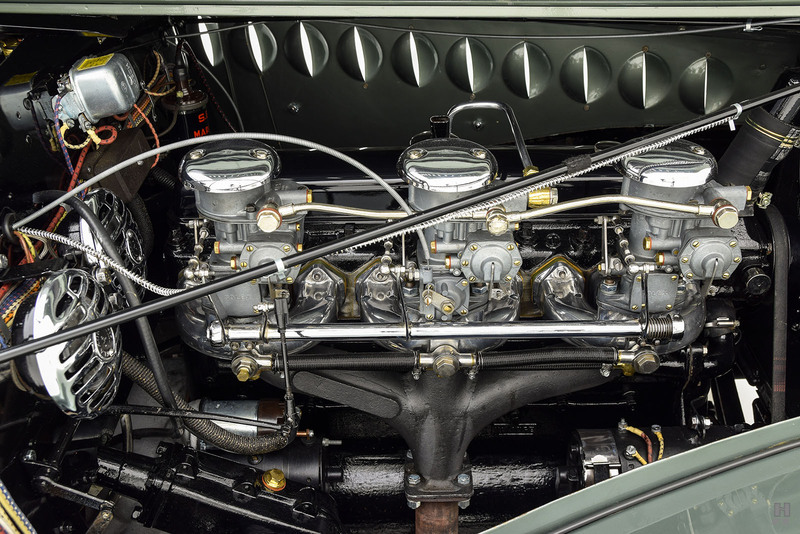 triple-carb overhead-cam six was made available in the 135M. 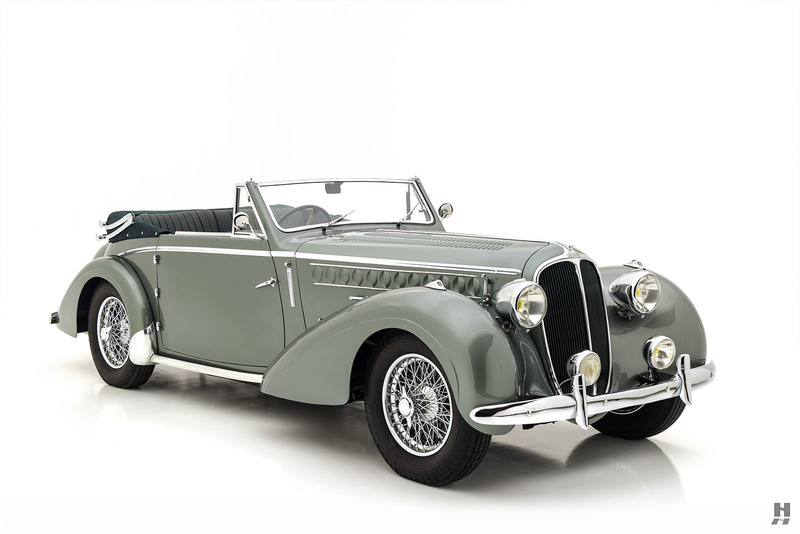 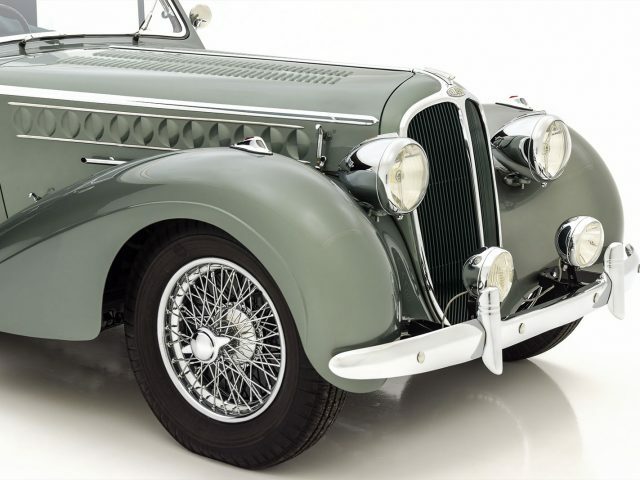 It was upgraded yet again for the 135 MS, which became the machine of choice for buyers looking to use their prized Delahaye in competition. 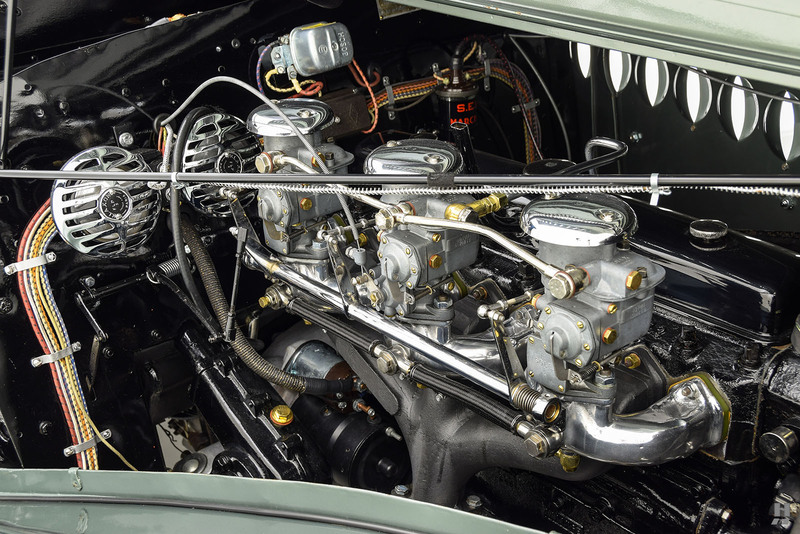 This magnificent engine delivered upward of 160 horsepower in the highest state of tune. 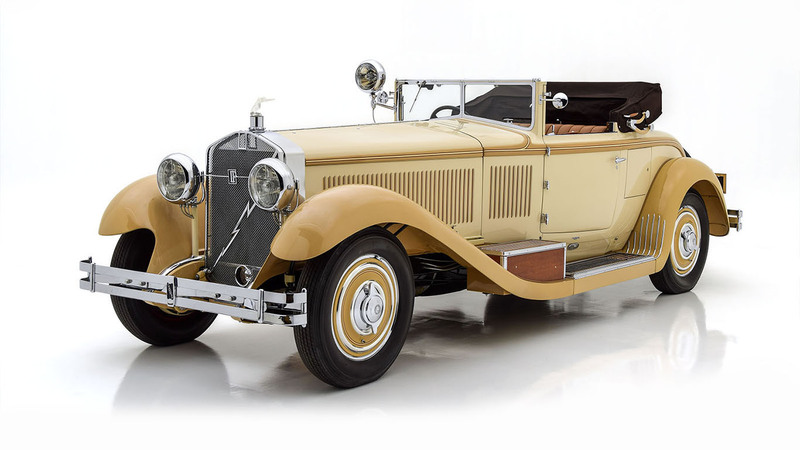 When combined with a lightweight body, even a standard 135MS was capable of 100 mph, an astonishing accomplishment for any pre-war automobile. 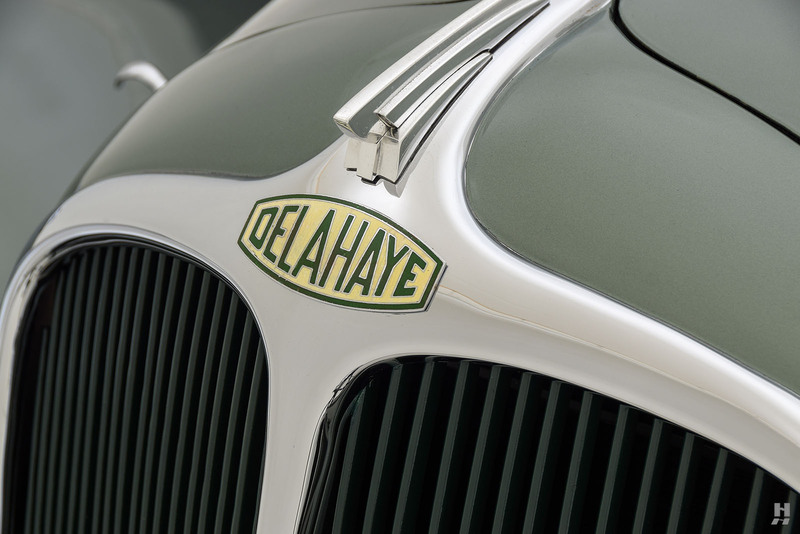 During the German occupation, Delahaye was under the leadership of Charles Weiffenbach who cleverly kept his workers busy while doing everything he could to produce as little as possible for occupying forces. 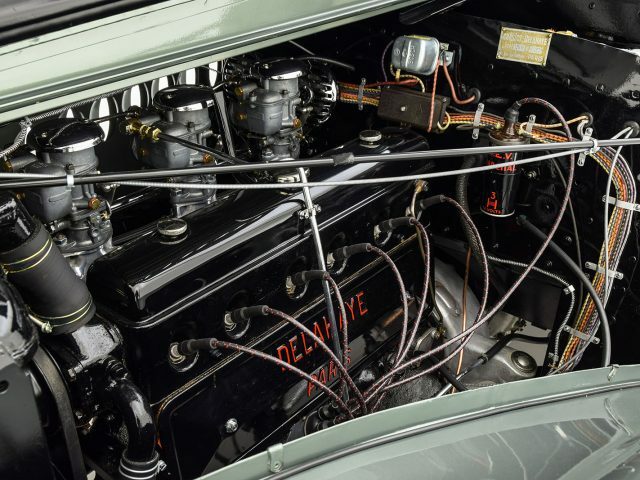 Heavy trucks built for the Wehrmacht trickled out of the factory, and at the end of 1942, the Germans instructed Delahaye to produce a particular Hanomag tractor at a rate of 100 units per month. 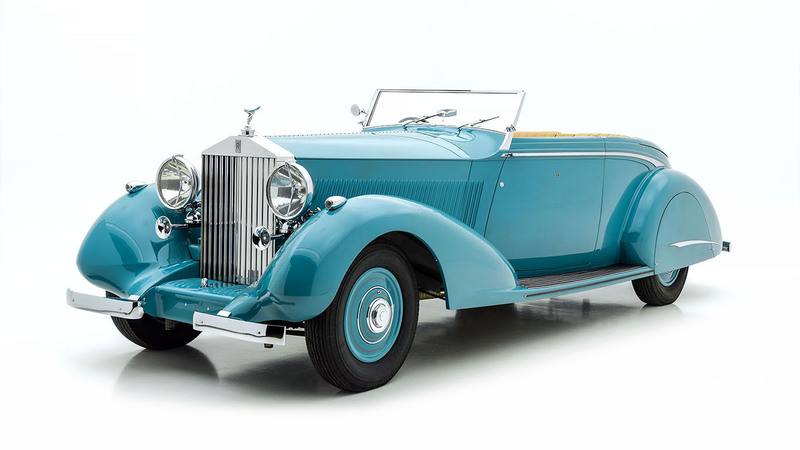 Weiffenbach changed orders and shuffled papers to such a degree that by 1944, not a single one had been built! Thankfully, Delahaye survived the war and came out the other side battered but not yet broken. 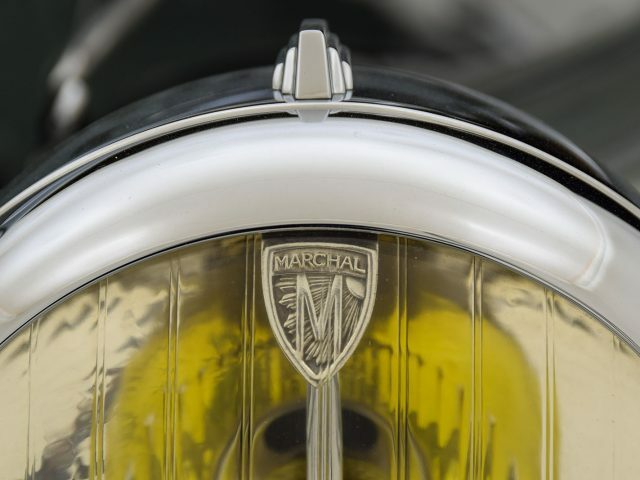 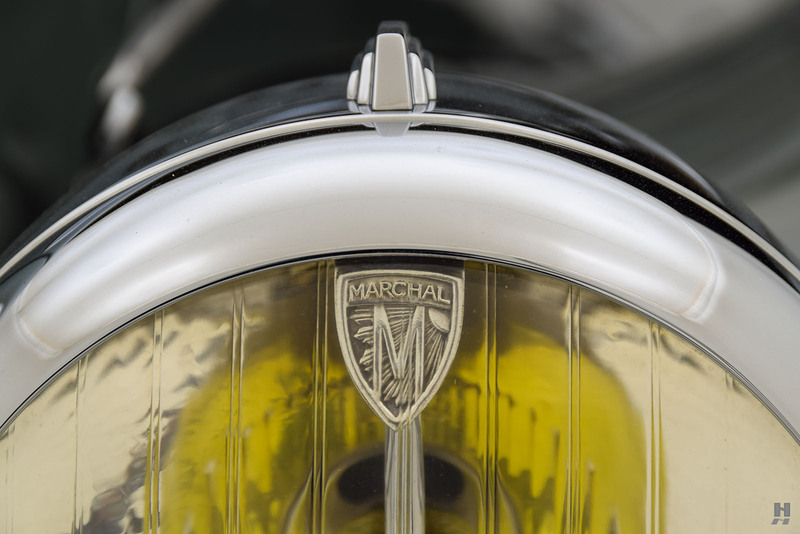 They joined an association of other French manufacturers and returned to automobile production. 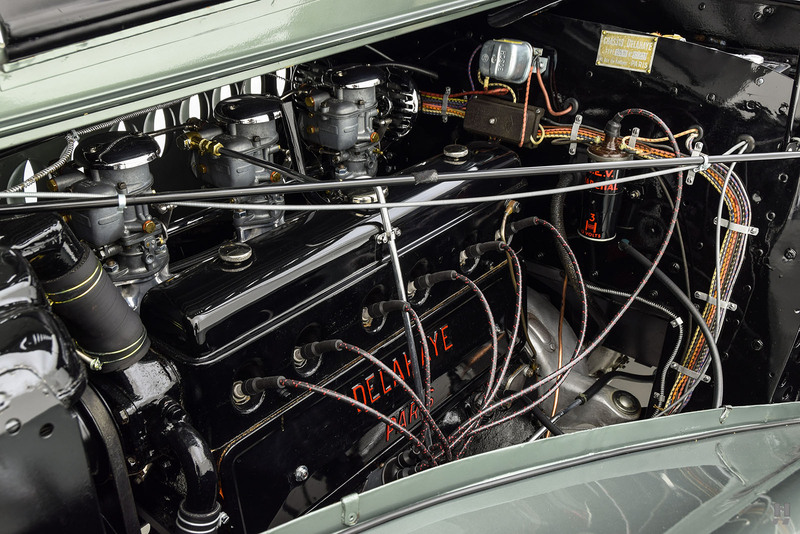 A 3 ½ ton truck model was first to leave the works, with the first post-war version of the 135 following in 1946. 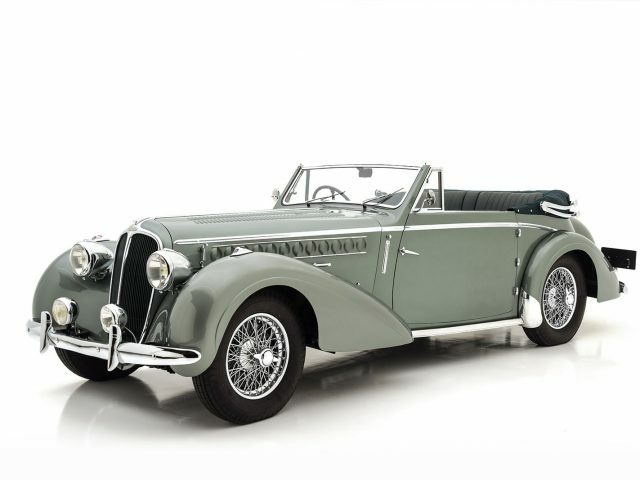 It was in essence the same car, just with a widened track, and more powerful versions of the 3,558 c.c. 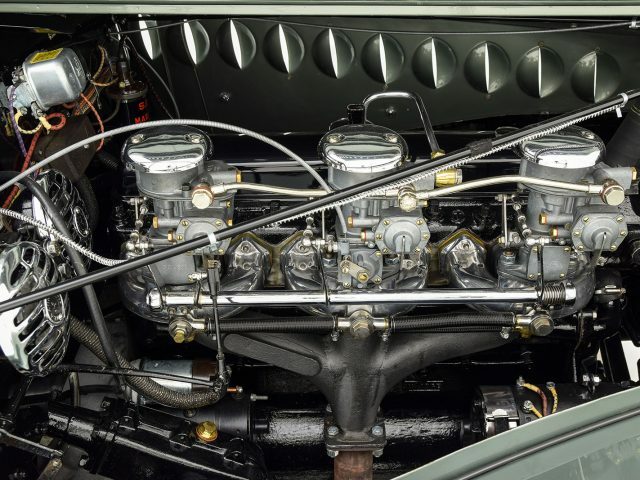 six-cylinder engine. 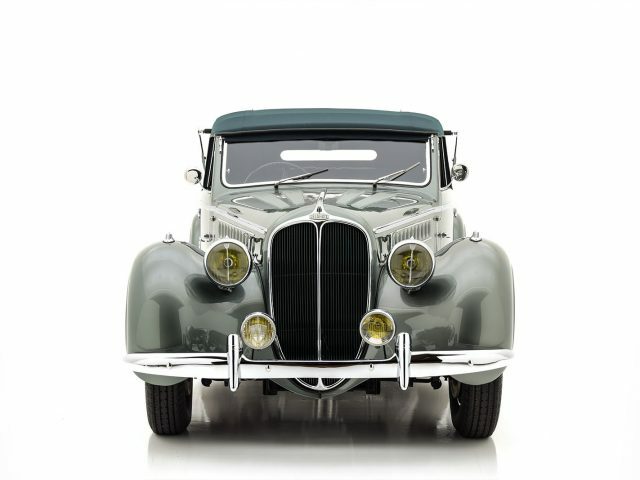 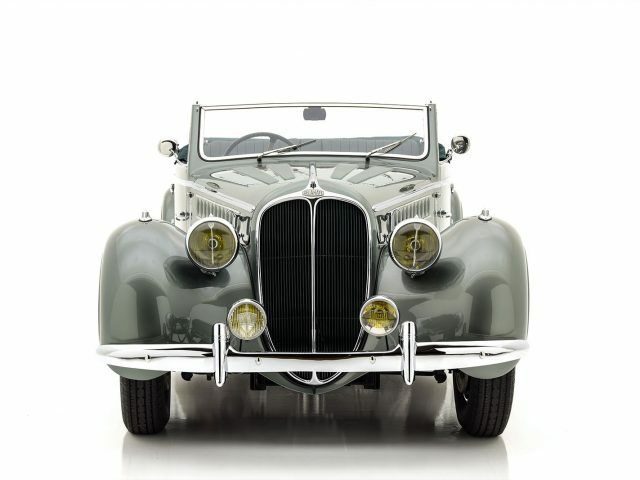 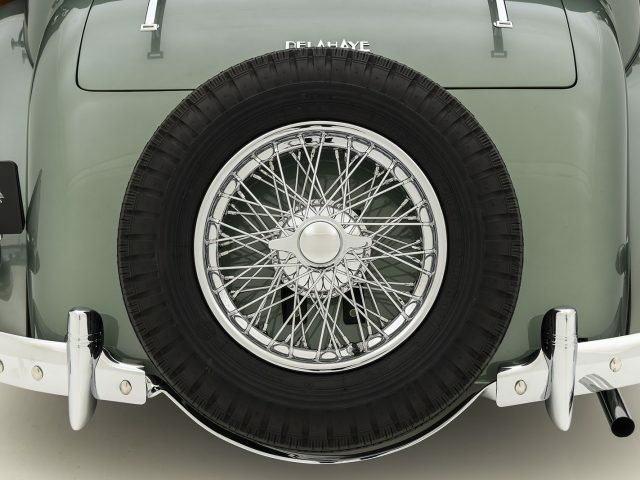 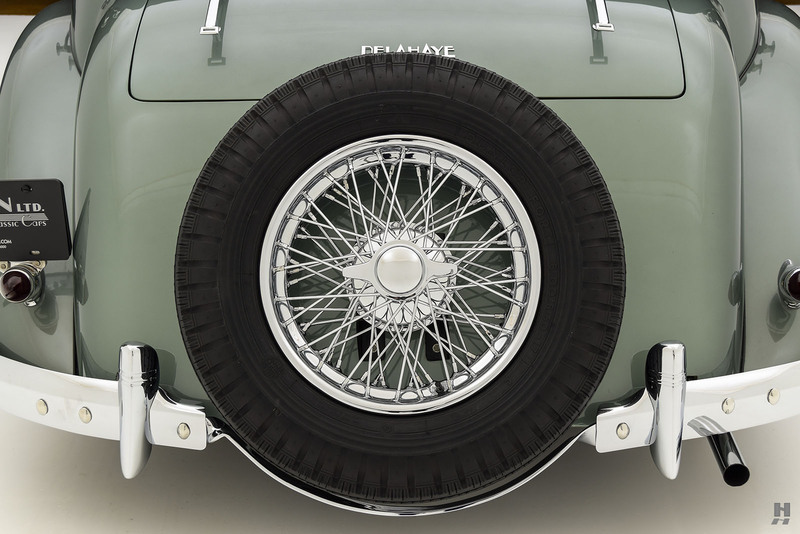 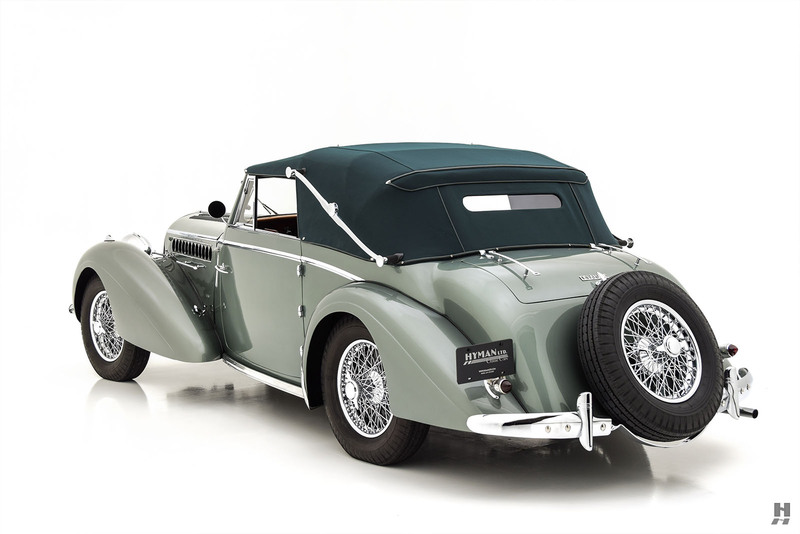 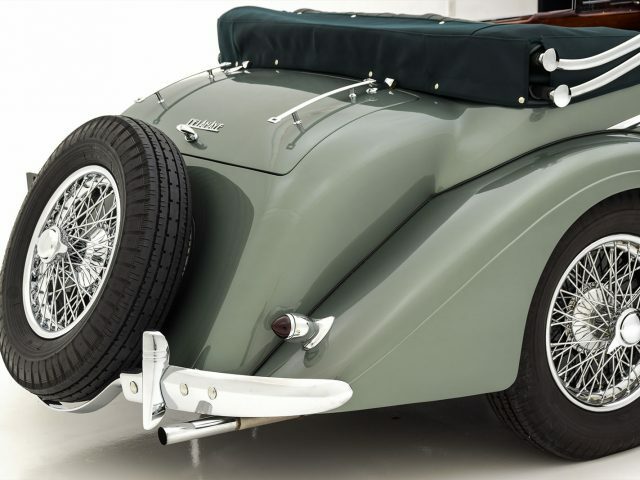 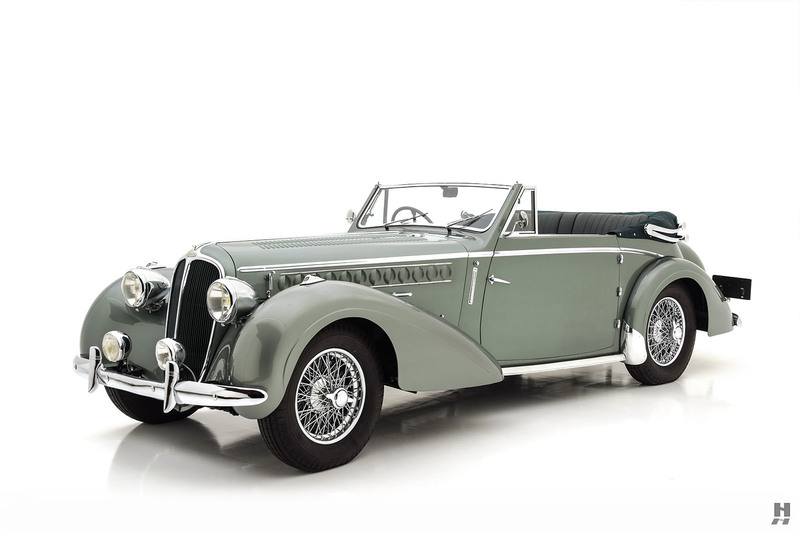 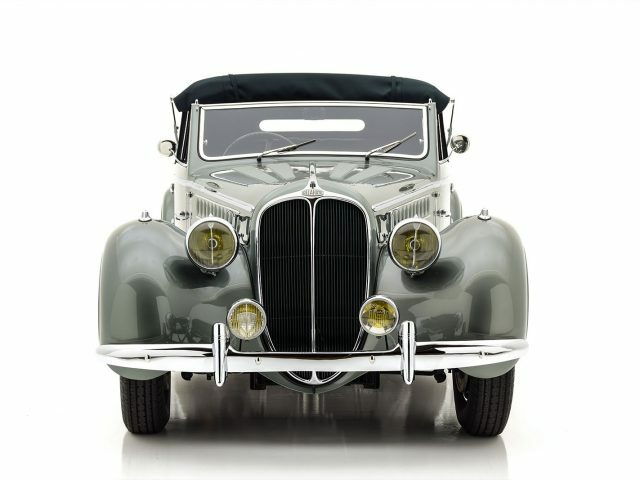 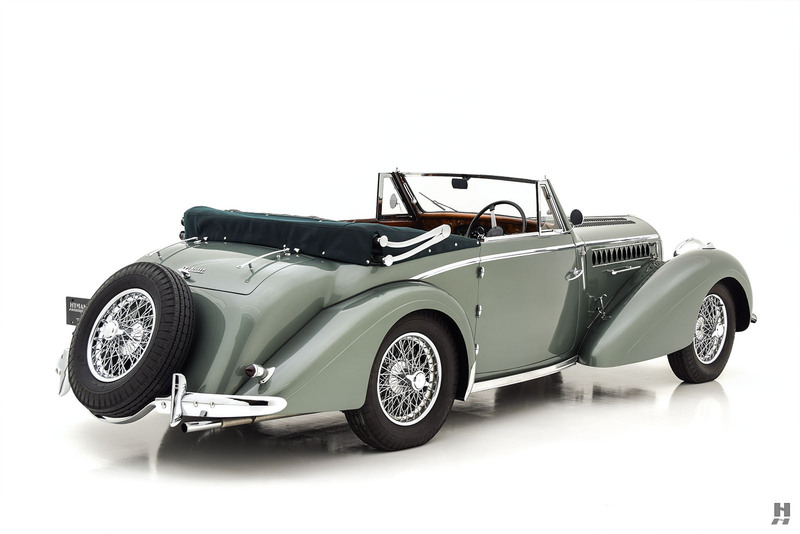 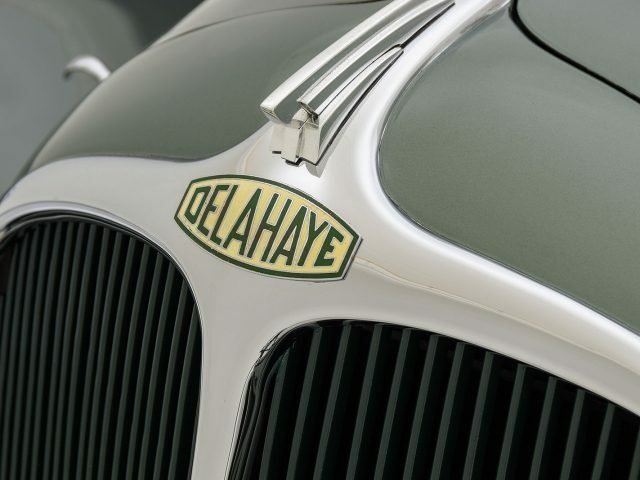 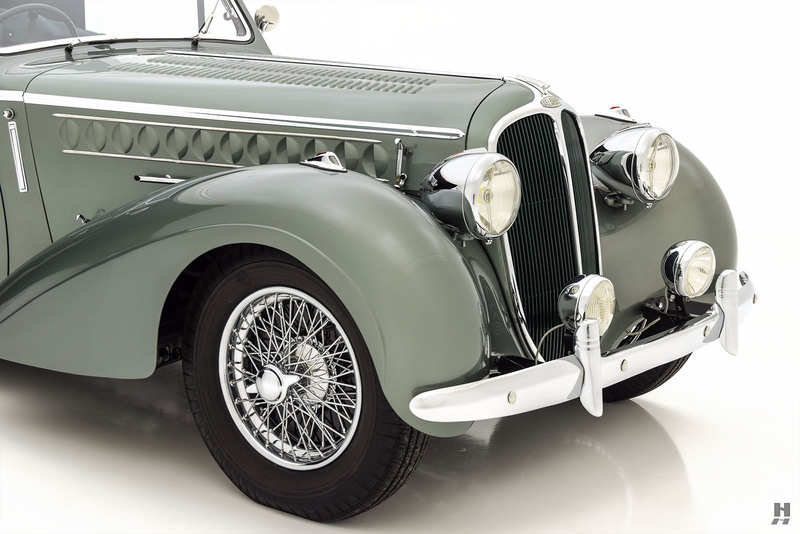 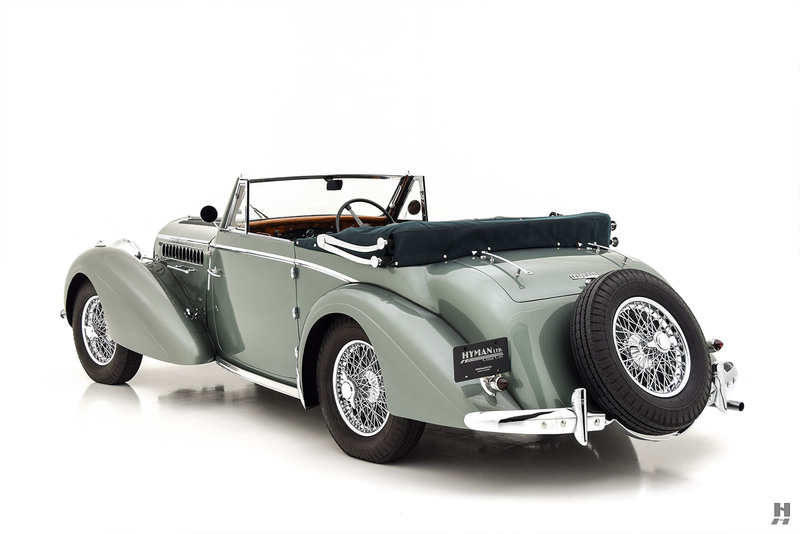 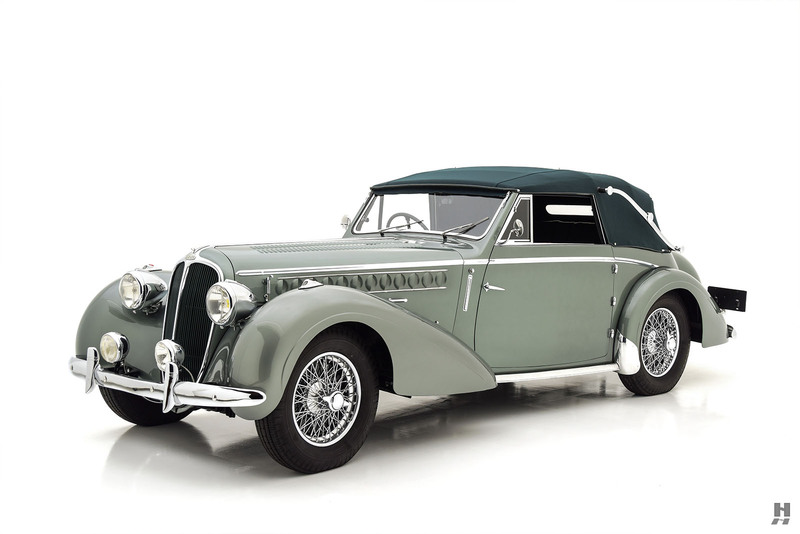 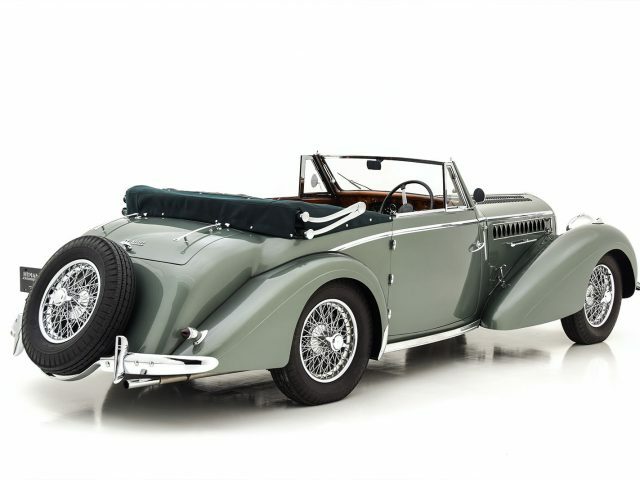 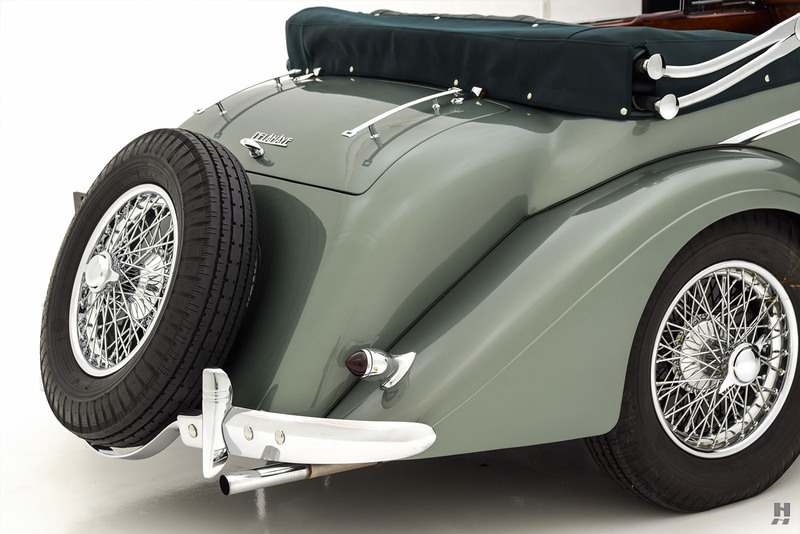 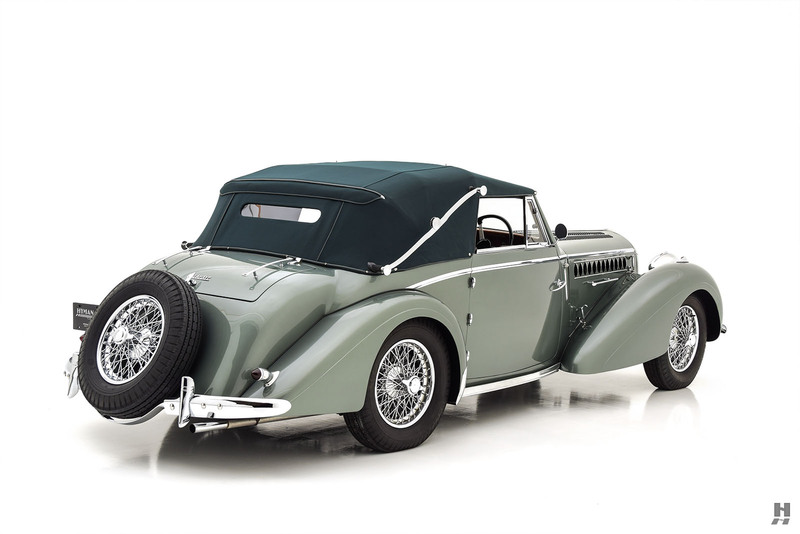 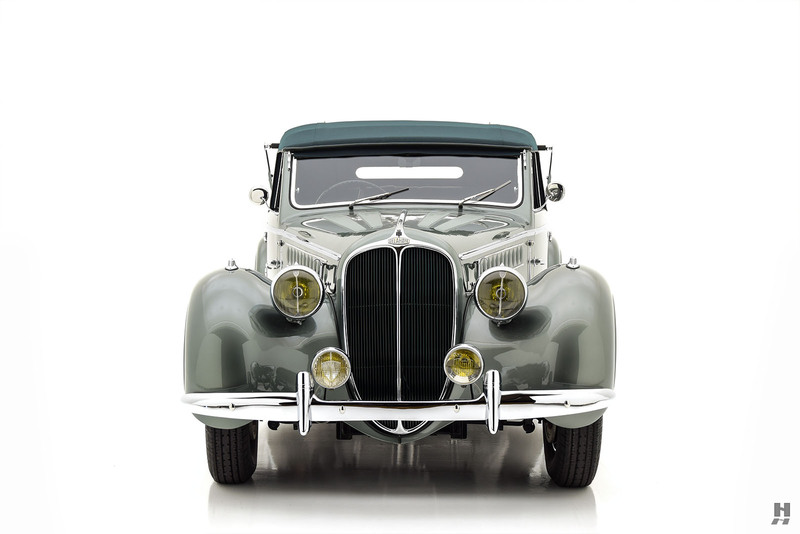 Even in the post-war period as the demand for cheap, mass-produced cars grew exponentially, Delahaye relied on the services of independent coachbuilders for supply bodies for their automobile chassis. 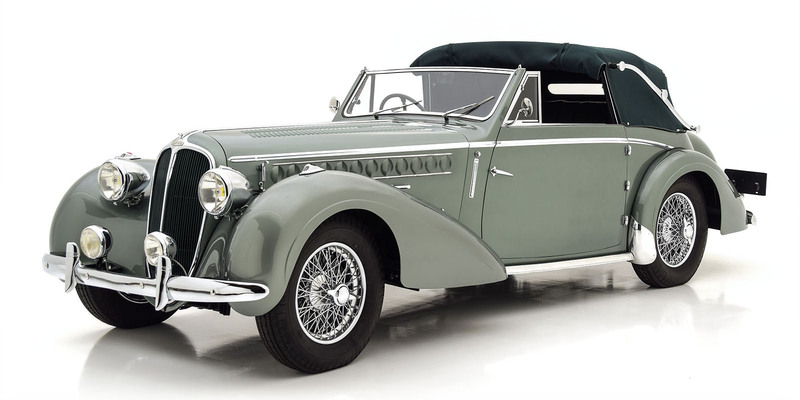 One such loyal carrossier was Henri Chapron, one of France’s most prolific and influential coachbuilders. 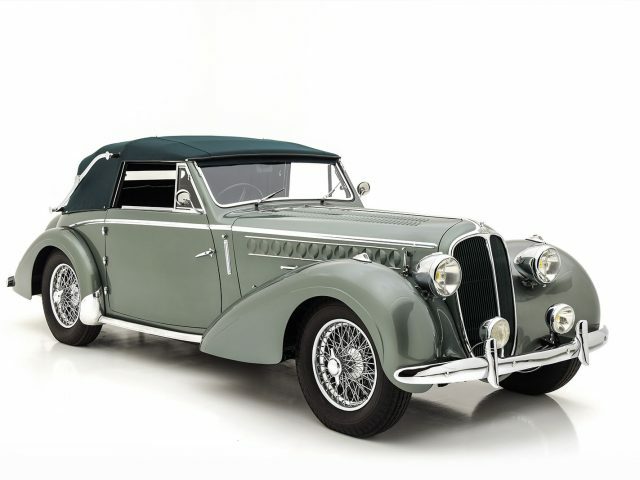 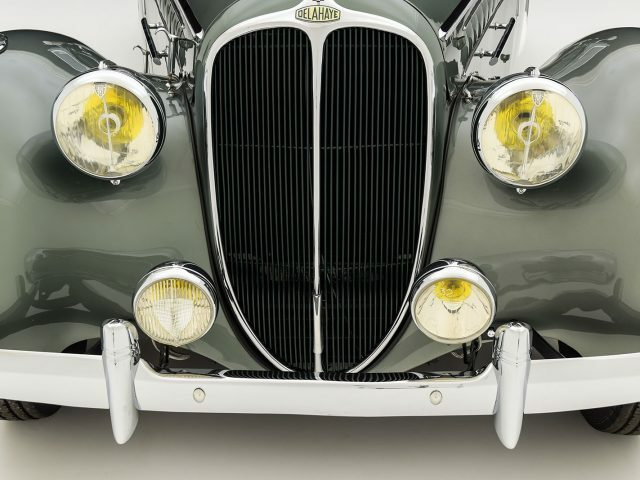 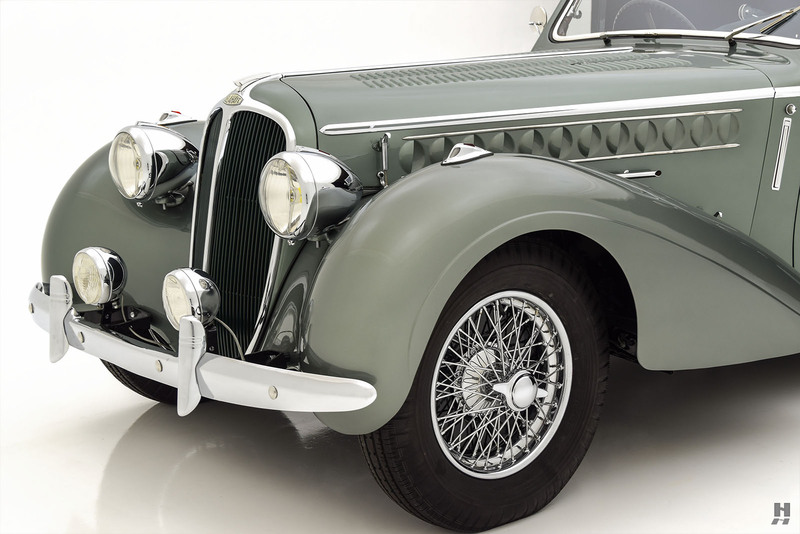 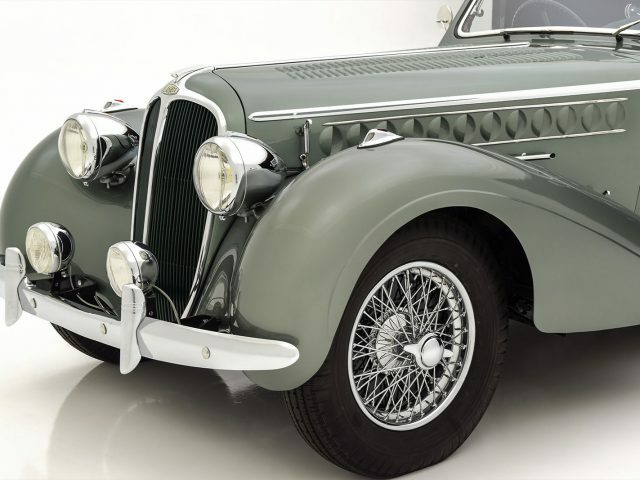 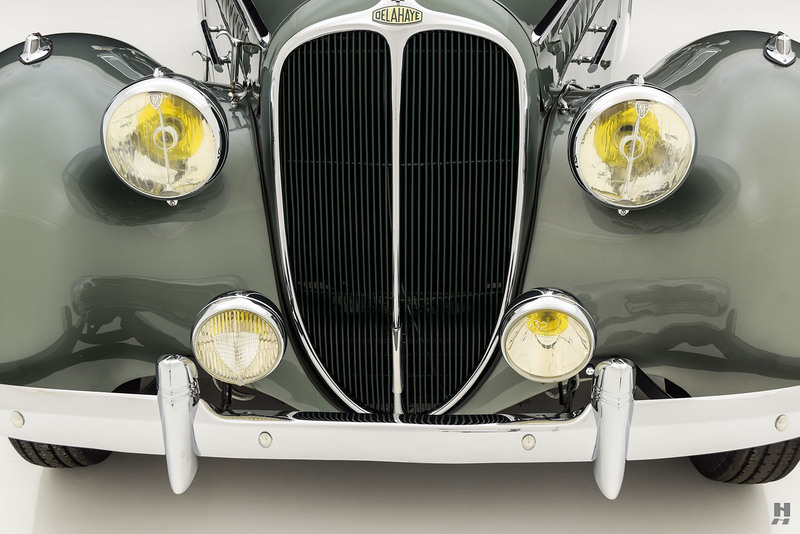 It was with the 1935 Delahaye 135 where he truly found his signature; a long-hood, short-deck proportion with subdued elegance that would influence virtually every other French coachbuilder through the 1950s. 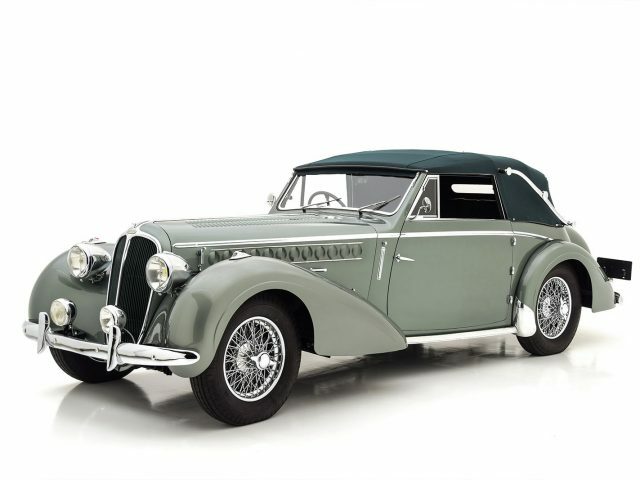 Following the German occupation, Chapron returned to car production, providing most of Delahaye’s bodies, along with others for the likes of Talbot, Salmson and Hotchkiss. 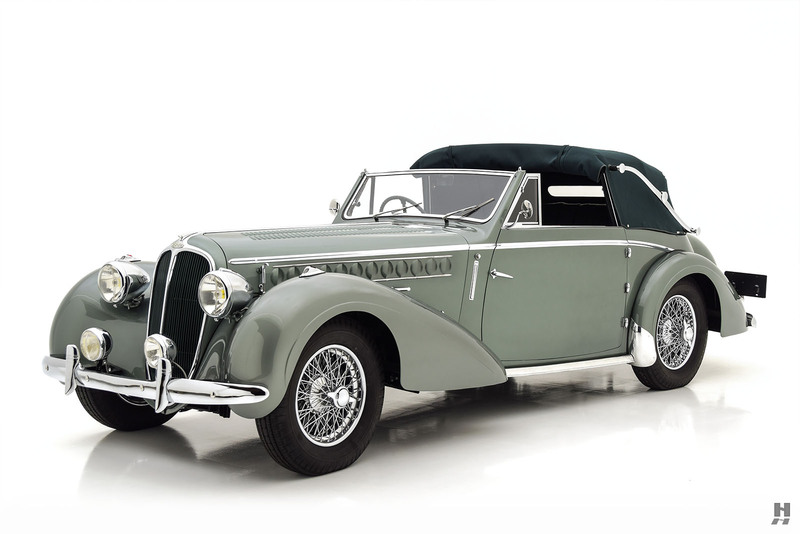 Fewer than 1,200 135s were built from before the war through 1952, with many customers preferring the outstanding quality and finely judged style of Henri Chapron. 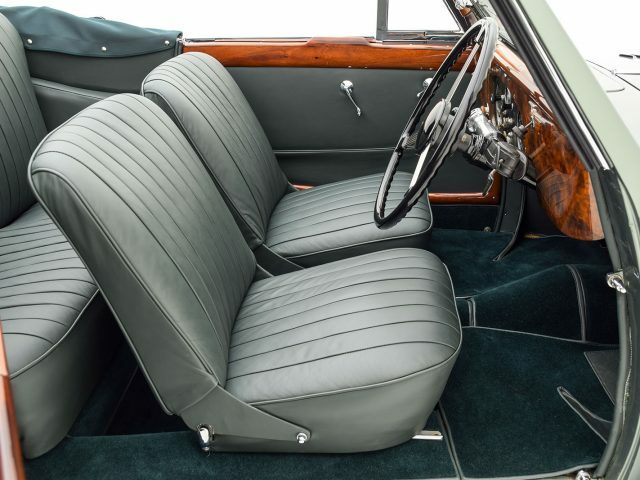 Sporting pedigree dominates the engine compartment in the form of the 3.6 liter inline six producing in the neighborhood of 120 horsepower in dual-carburetor M-specification. 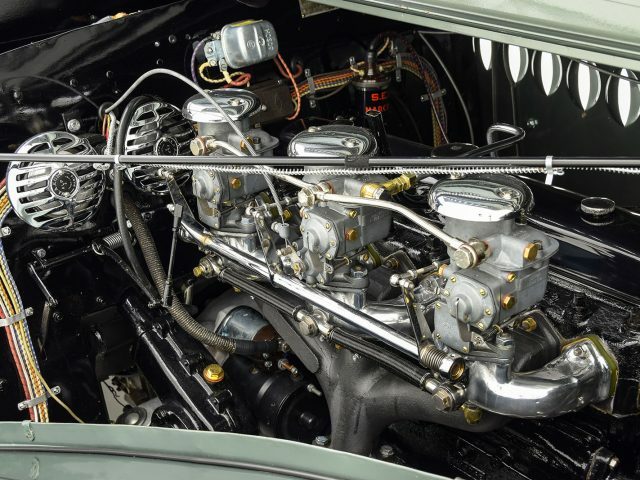 The engine is highly detailed, and in beautiful condition. 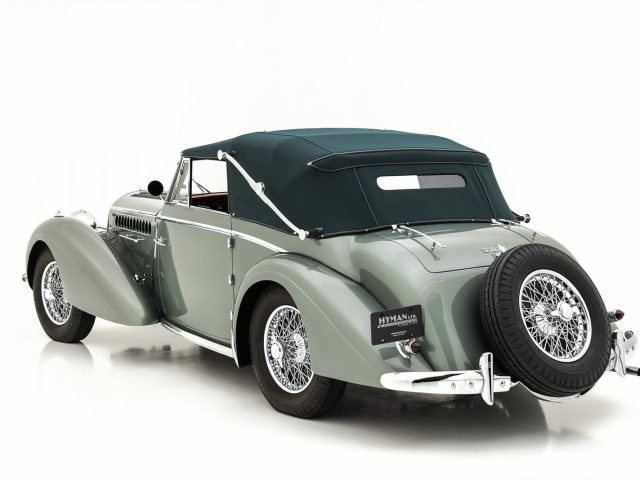 It runs well and delivers very good performance and a delightful, sonorous exhaust note. 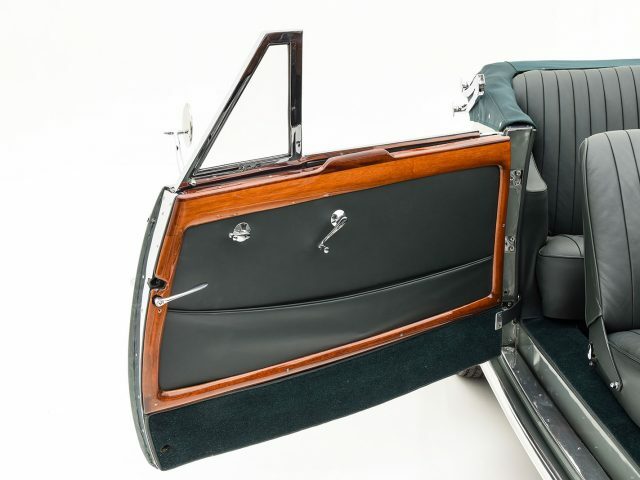 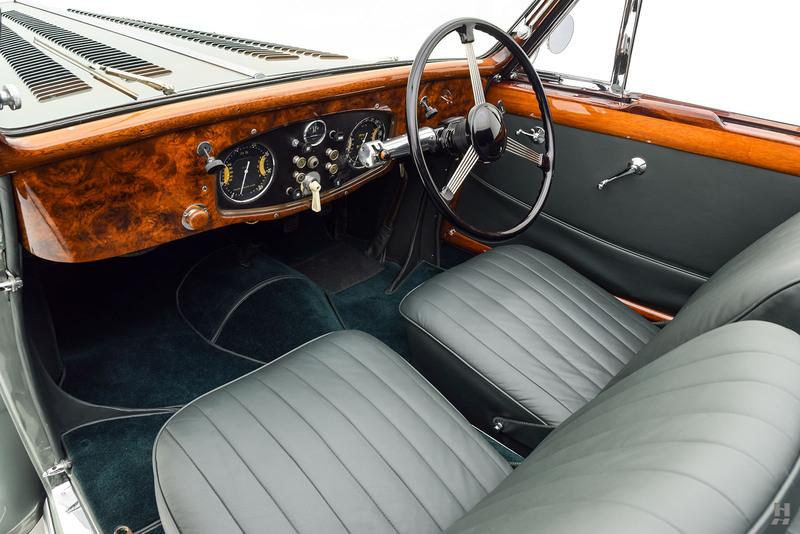 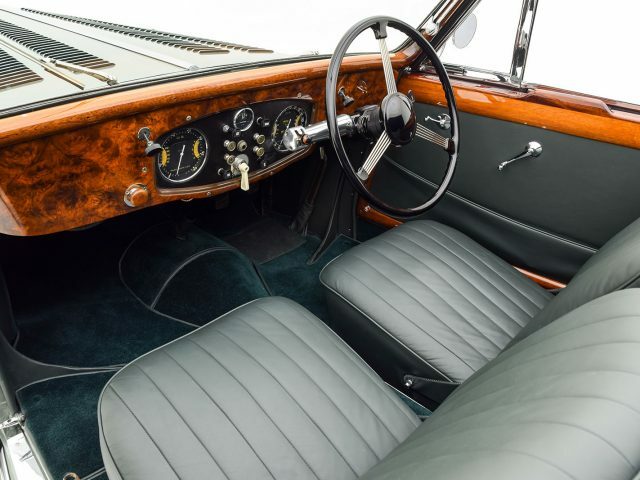 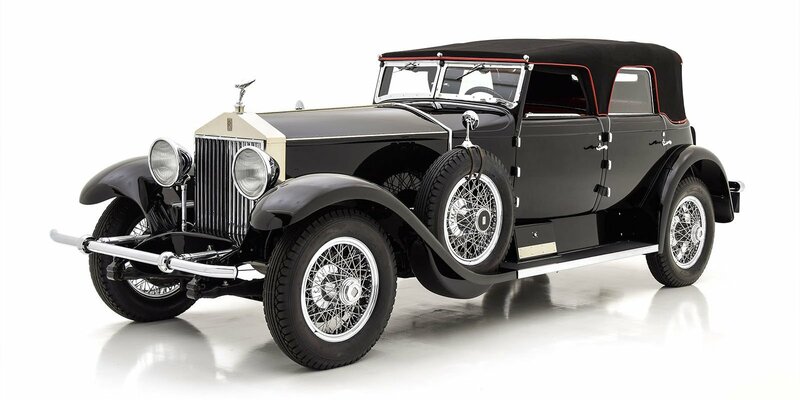 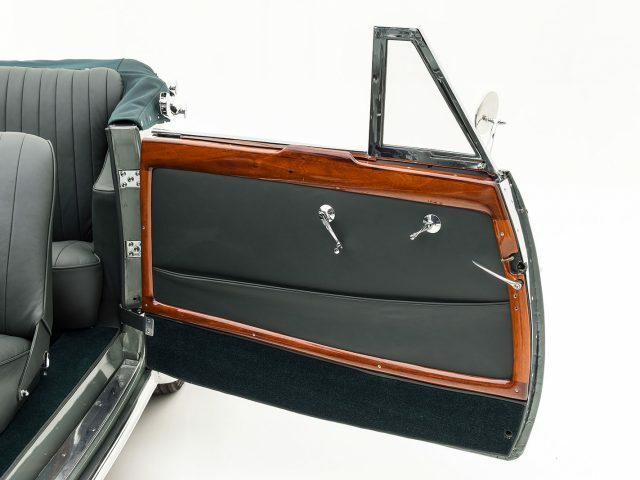 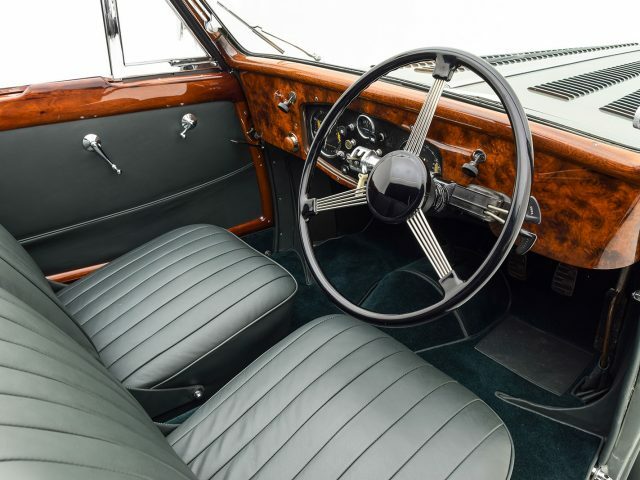 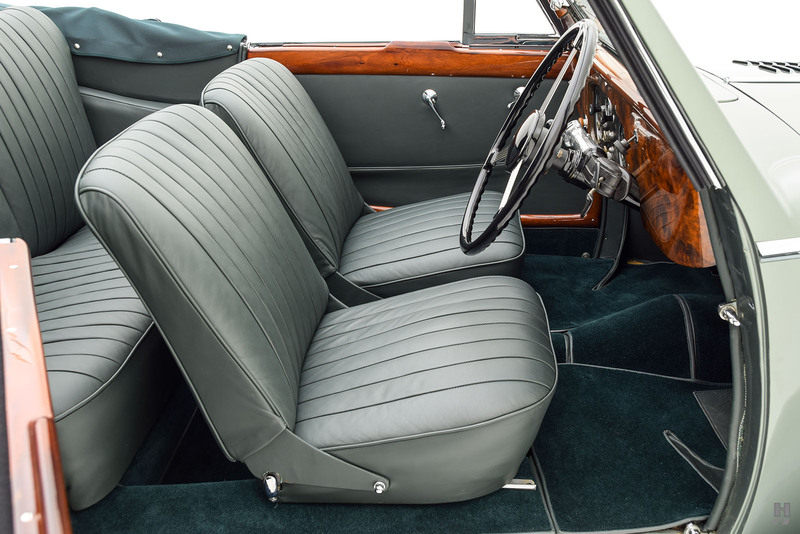 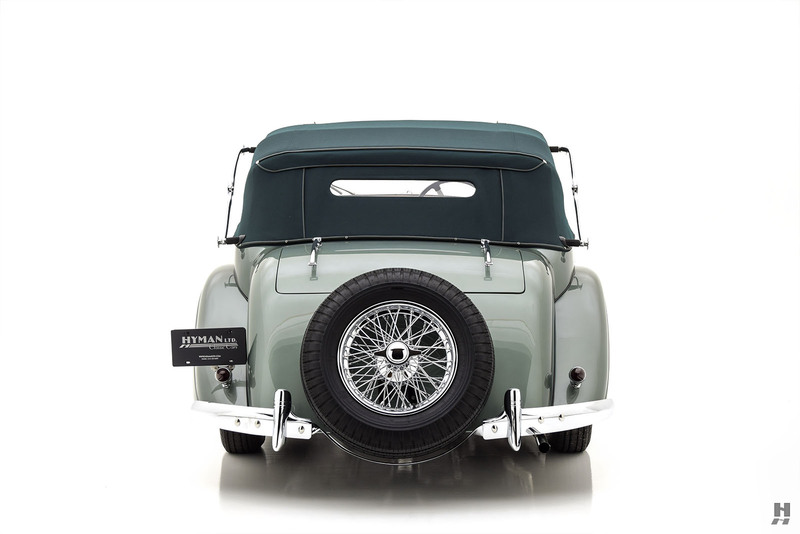 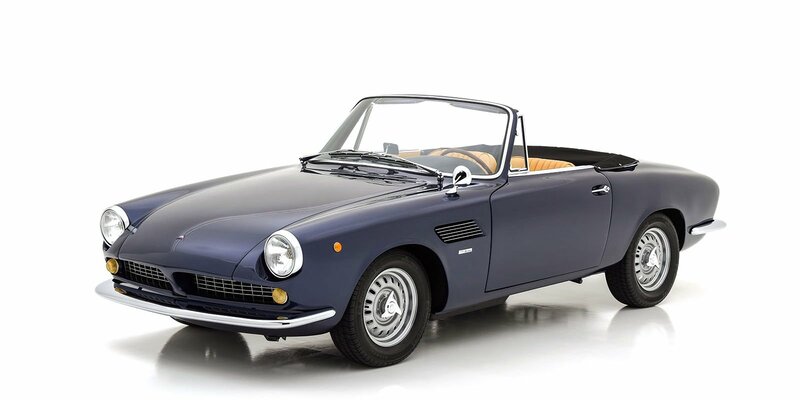 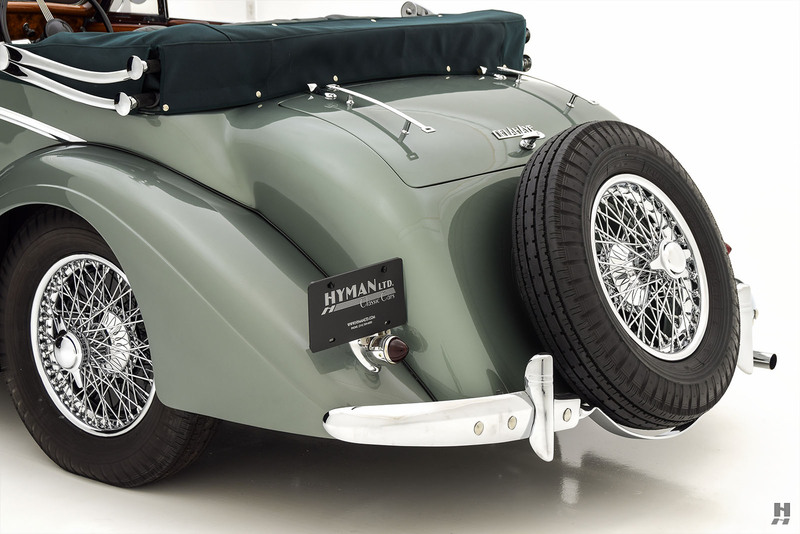 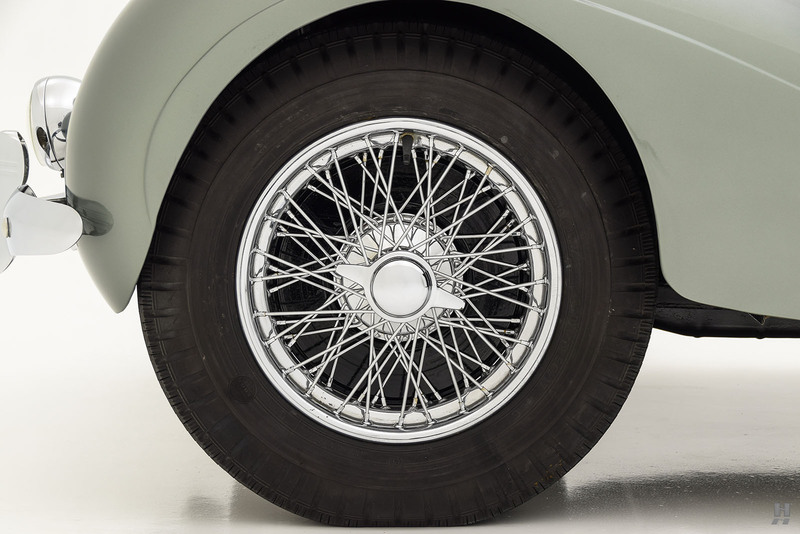 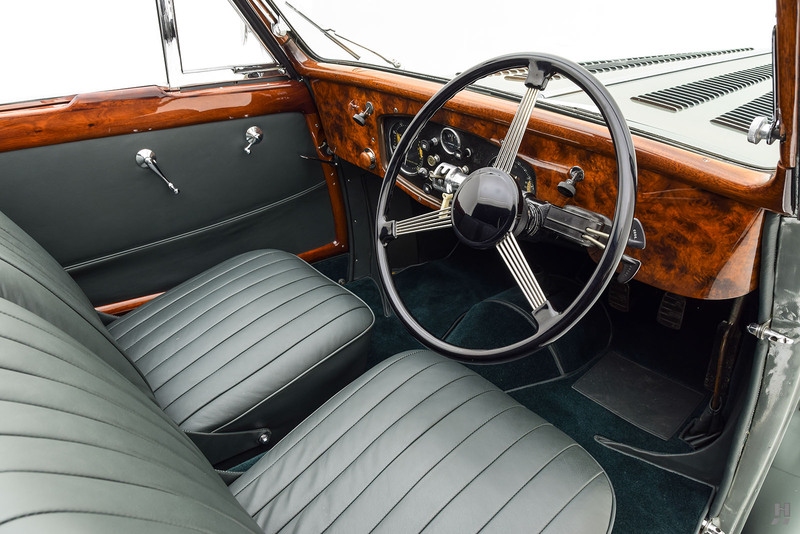 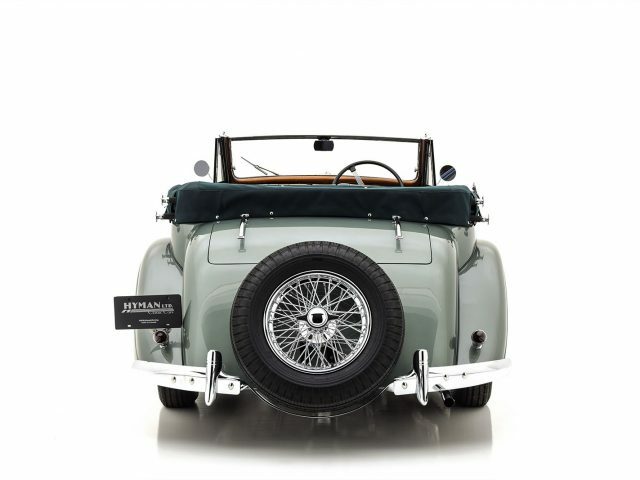 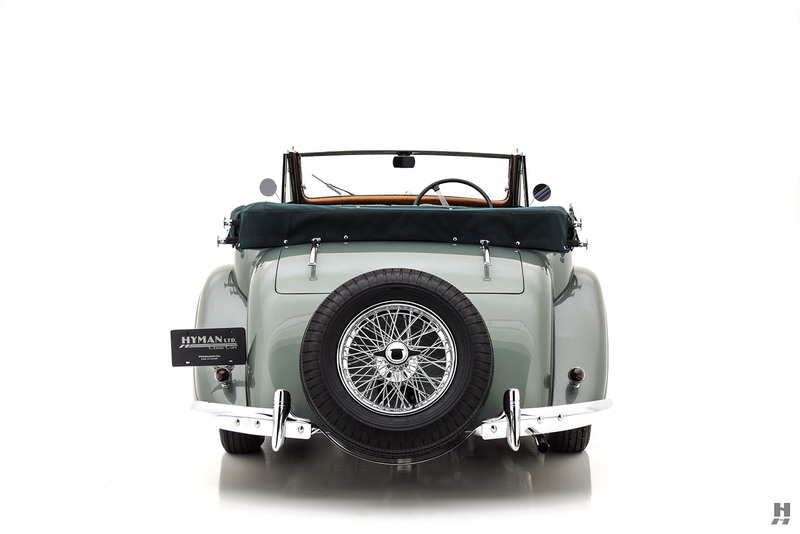 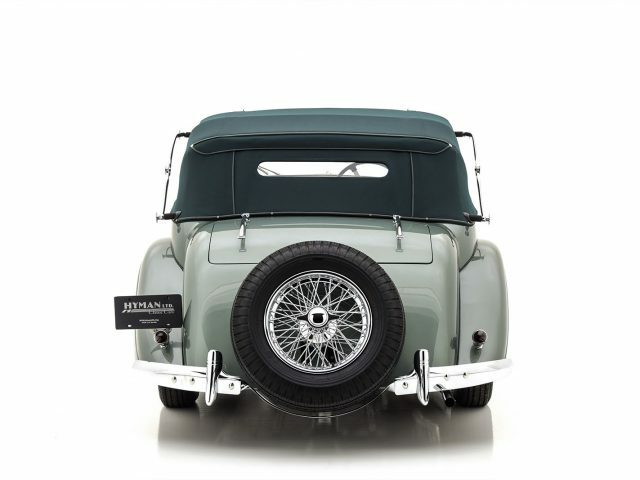 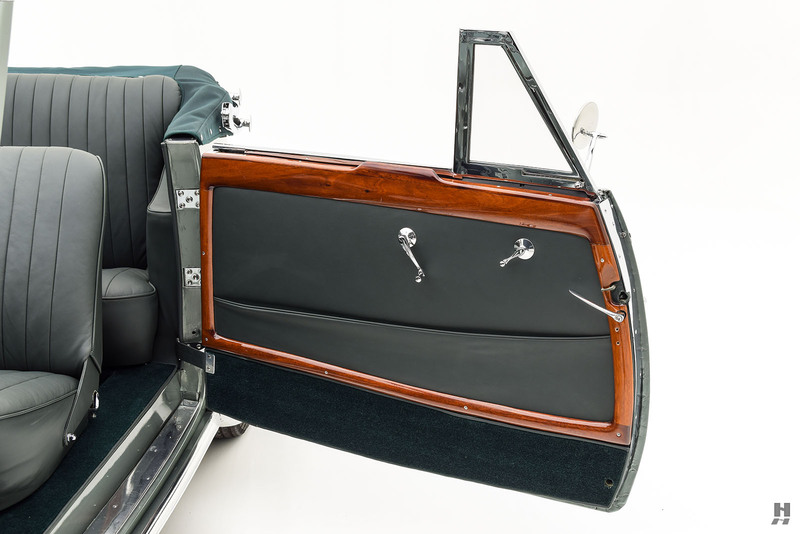 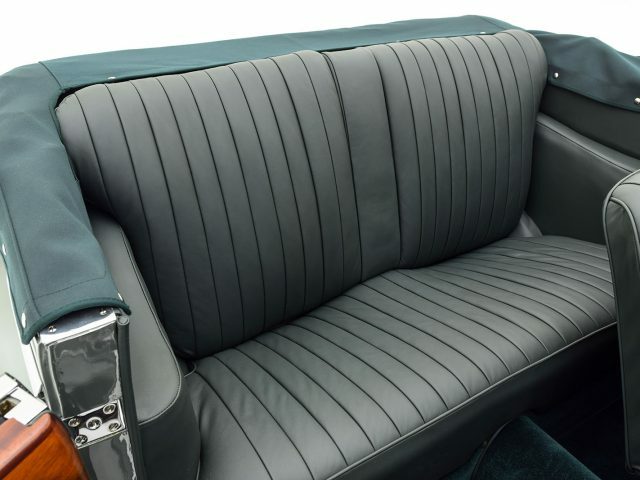 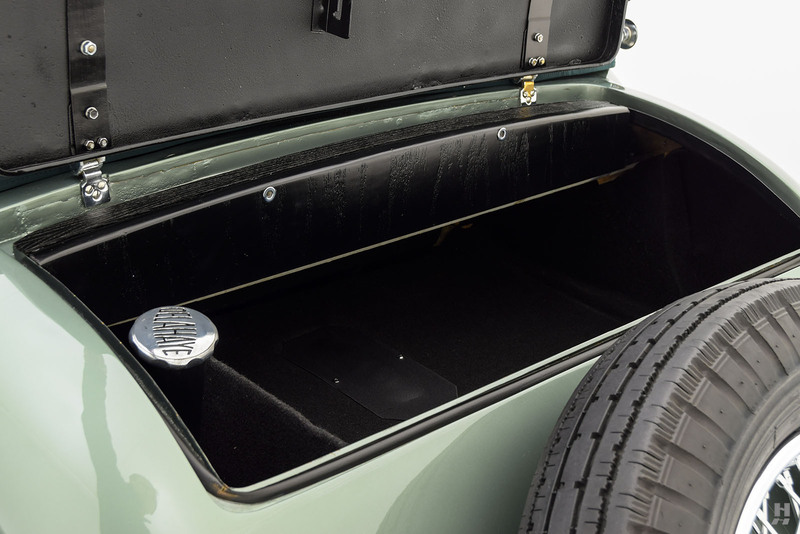 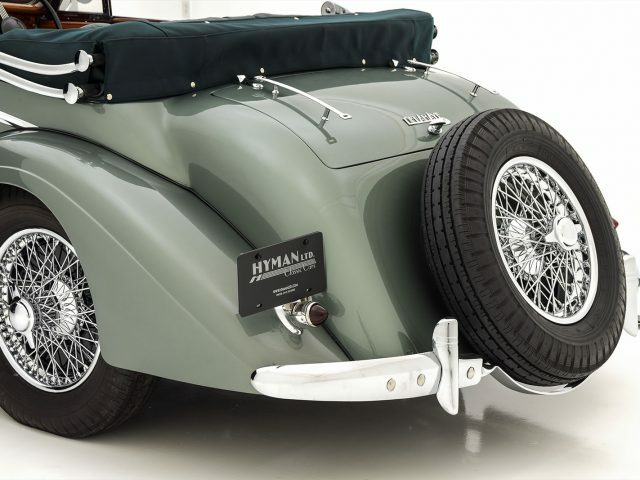 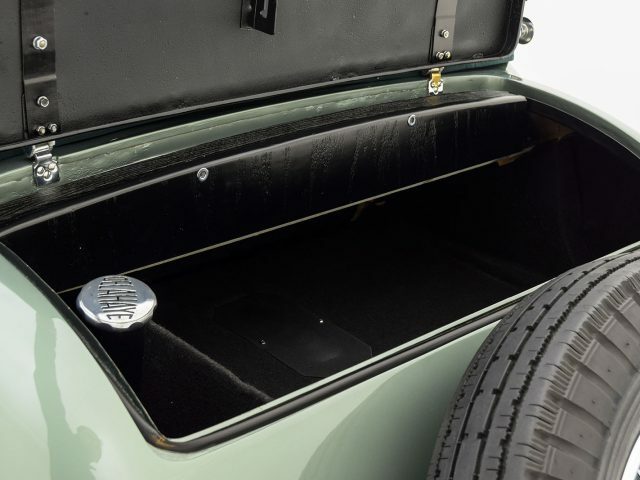 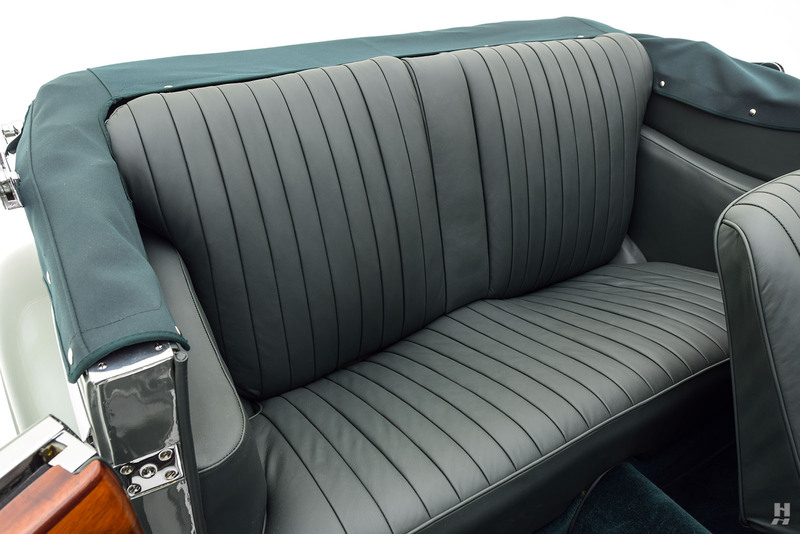 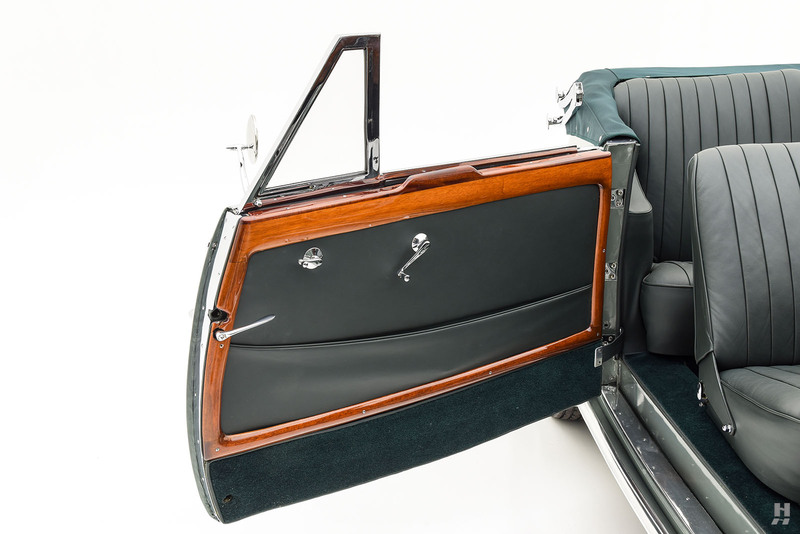 This car features the desirable Cotal pre-select gearbox, which was the choice for sporting drivers of the time. 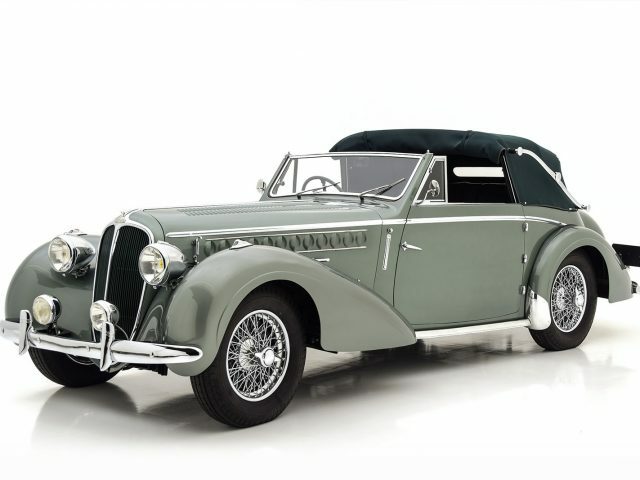 The Delahaye 135M is renowned for its outstanding road manners and as such, it is a popular entrant in classic tours and rallies. 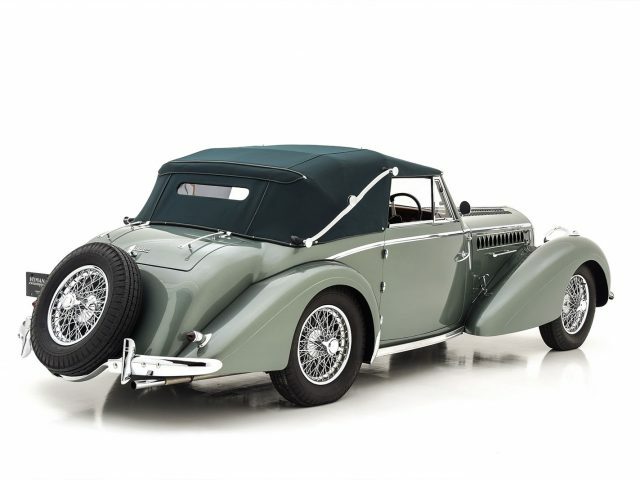 With its desirable and gorgeous open coachwork, Cotal gearbox and triple-carburetor specification, this attractive and high-quality 135M makes a fine choice to enjoy in concours, on any number of road events, or to simply marvel in the exquisitely engineered engine, refined chassis and elegant Chapron coachwork while out on your favorite local roads.